Have you ever seen the squirm on a guy’s face if he sees someone on TV get kicked in the groin? It’s the same feeling we get if we see some skateboard kid try to jump a railing but lands right on the rail, then slithers down the side of the poll in excruciating pain. Watch how anxious #TOPIF is to get to his release date. 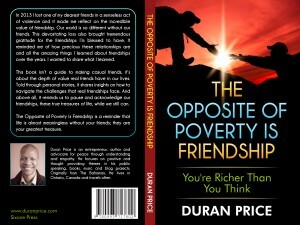 My new book The Opposite of #Poverty Is #Friendship is about to be released soon. Real Friends “Feel”, Why Am I Flying high? Why Am I Flying high? Because in 24 hours I should have the first ever printed copy of #TOPIF in my hands. And a few days after that, you should be able to get yours my#friends. Sign up to be notified if you haven’t already. Welcome to my official blog. 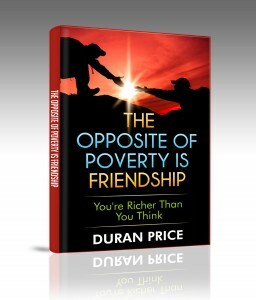 I’m excited to announce that in the next few days my new book “The Opposite Of Poverty Is Friendship” will be released. Told through personal stories and containing some great advice about how to manage challenges that friendships face, the book is a reminder that life is almost meaningless without your friends; they are your greatest treasure.